There are two sides to every story. You've heard Thor's - now it's time to hear Loki's. Odin's least favorite son rewrites Asgardian lore from his perspective in this groundbreaking collection, featuring the breathtaking painted artwork of Esad Ribic (WOLVERINE). In this story, Loki's insatiable lust for power, his conflicted sentiments toward Sif, his antipathy toward Balder, and his deep-seated feelings of longing and resentment toward his older brother, Thor, and uncaring father, Odin, will take on new meaning. And if that's not enough, just stare at the lush painted art by Ribic - you won't be disappointed! 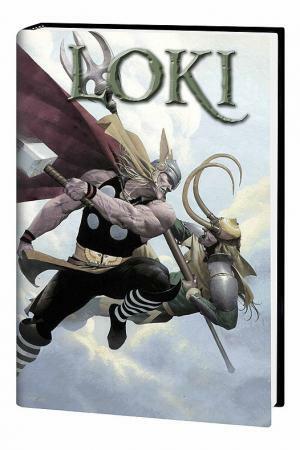 Collects LOKI #1-4.